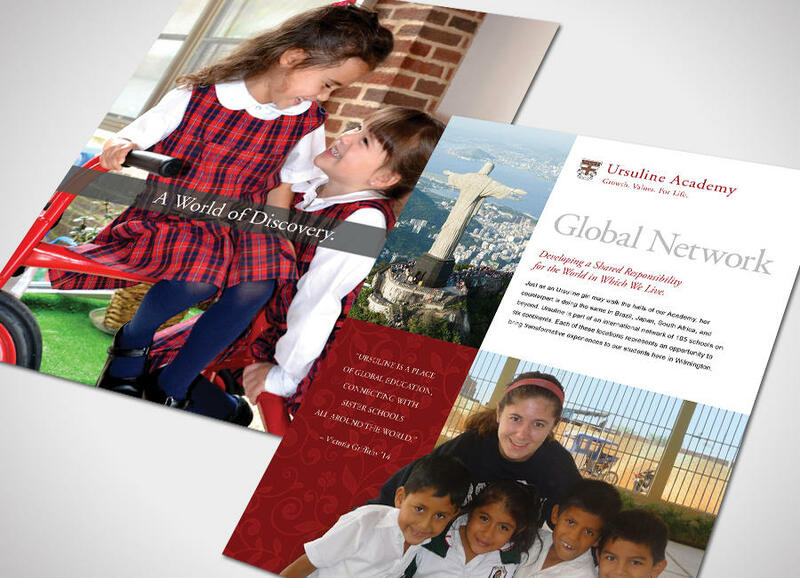 Admissions marketing…Create an engaging, lasting impression. 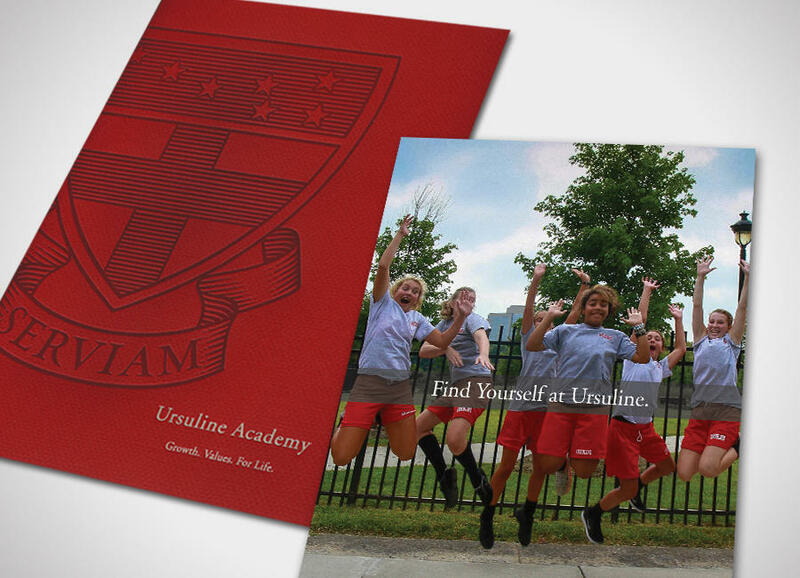 Ursuline’s admissions marketing packet provides a comprehensive overview of the full continuum of educational experience at one of the nation’s top schools – amplifying the Academy’s new positioning – “Growth. Values. 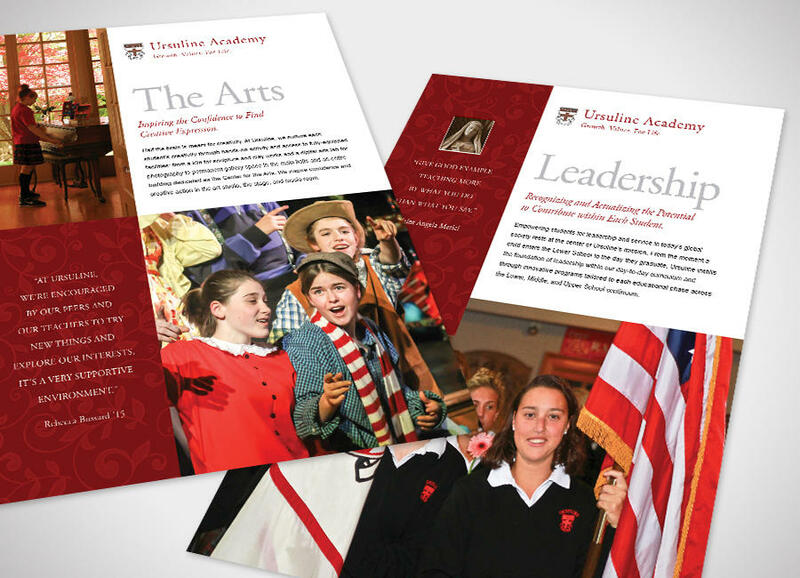 For Life.” Modular in design, the packet can be tailored to Pre-K, Lower, Middle and Upper school audiences. 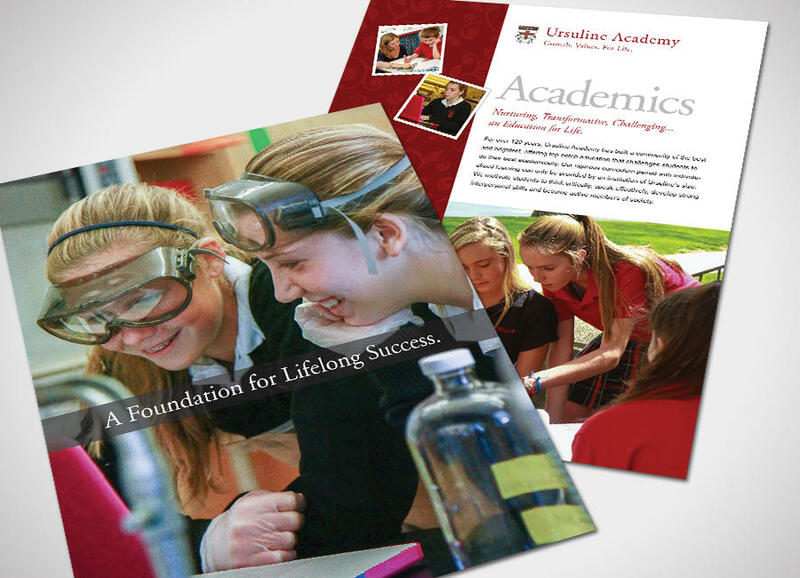 Lively imagery captures the joy of achievement, the challenge of learning and the warmth of spirituality that are everyday experiences at each Ursuline school.